In particular, though, it reminded me of a far older, and much more substantial one than those. Then it finally hit me: Hermann Hesse’s The Glass Bead Game  . Simultaneously and synchronistically, while Hesse was writing away in Switzerland Thomas Mann was comfortably ensconced in LA, writing his own very similar book, Doctor Faustus: The Life of the German Composer Adrian Leverkühn As Told by a Friend  . Given its resemblances to Hesse’s novel, it’s not surprising to find similarities to Houellebecq’s. Mann’s narrator is contemporary with us, not a few decades in advance, but also writing about our own (then) recent times — Germany from Bismarck to Hitler. His subject, Adrian Leverkühn is, like Houellebecq’s Bruno, an artist, though also, like Michel, a whiz at mathematics, at least of the cabalistic kind (thus relating him to Hesse’s Castalians). Like Bruno, he is sexually twisted, though in a Wilhelmine German way — like Nietzsche, he has sexual contact once, with a prostitute, in order to deliberately infect himself, like Nietzsche, with syphilis. Like both Bruno and Michel, his one, last object of love, his nephew, is torn away from him through an agonizing, grotesque death. Michel Houellebecq, H. P. Lovecraft: Against the World, Against Life  (McSweeney’s, Believer Books, 2005). 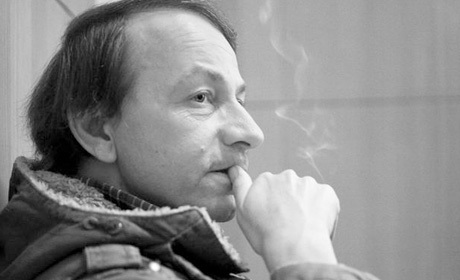 “Confused extremes: Platform, Michel Houellebecq’s follow-up to Atomised [a.k.a. 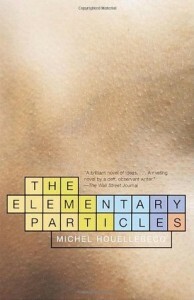 The Elementary Particles]” by Anna Lynskey, here . “Death Dreams” by Rob Horning, here . Of course, some on the Right would be fine with that: “Ben Jeffery makes a comment on this, saying: ‘It is not that Houellebecq is a reactionary writer exactly. For example, it is never suggested that religious faith is the solution to his character’s dilemmas; the books are all resolutely atheist.’ But I guess Jeffery has never heard of the likes of Mencius Moldbug , neoreactionary atheist….” “Ben Jeffery’s Anti-Matter: Michel Houellebeq and Depressive Realism” by Craig Hickman; May 19, 2013, here . 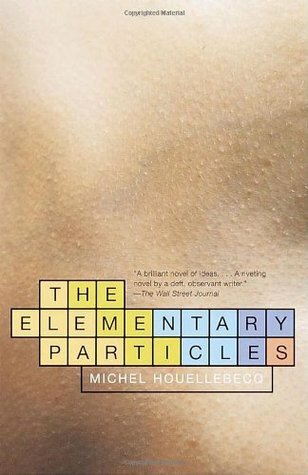 “Yet Houellebecq possesses one quality in which the Left Bank existentialists of the ’40s and ’50s were notably lacking, namely, humor. Houellebecq’s fiction is horribly funny. Often the joke is achieved by a po-faced conjunction of the grandiloquent and the thumpingly mundane.” – “Futile Attraction: Michel Houellebecq’s Lovecraft” by John Banville, Bookforum (April/May 2005), here . Such as Jeff Frankas’s De-World  and Ann Sterzinger’s The Talkative Corpse .